Moms matter to marketers, according to a recent Scarborough Research study that showed mom bloggers are much more socially mindful and politically active than non-blogging mothers. MediaPost.com reported on the revealing results and explained how blogging moms have gained the Internet influence to impact marketing, media, politics, and more. The study indicated that mom bloggers were extremely motivated by environmental and societal issues. In relation to their non-blogging counterparts, mom bloggers were 69 percent more likely to regularly purchase organic food, 49 percent more inclined to buy eco-safe cleaning products, and 46 percent more likely to buy locally grown food. They were also 88 percent more likely to pay more for these premium eco-friendly foods and products. In regard to politics, no single political party unified mom bloggers, but 76 percent said they always vote in presidential elections and 45 percent always vote in state elections. Mom bloggers were more than twice as likely as all moms to have contributed to political, cultural, and environmental organizations in the past year. The study showed that mom bloggers were 75 percent more likely than non-blogging moms to have contributed to a social or welfare group and 64 percent more likely to have given to an environmental organization. A surprising 85 percent of mom bloggers even make their political decisions based on the candidate’s environmental stance. 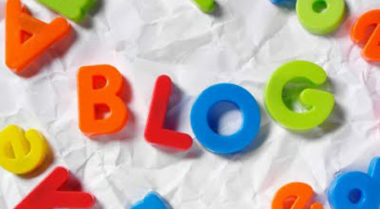 Not surprisingly, blogging moms were extremely active online, with 90 percent visiting a social networking site and 46 percent searching for online coupons in the prior month. Interestingly, these tech-savvy moms also realize the value of traditional media in all of its forms. In the previous month, 58 percent had watched the local news on traditional television while 51 percent had visited a newspaper’s website, and 38 percent had visited a broadcast television site. “Mom bloggers are a great example of people who use the Internet as their primary platform, but are still active with other kinds of media,” said Ms. McFarland, as she concisely summed up the report’s results. To discover how digital marketing can help your business expand into new markets, contact MDG Advertising.